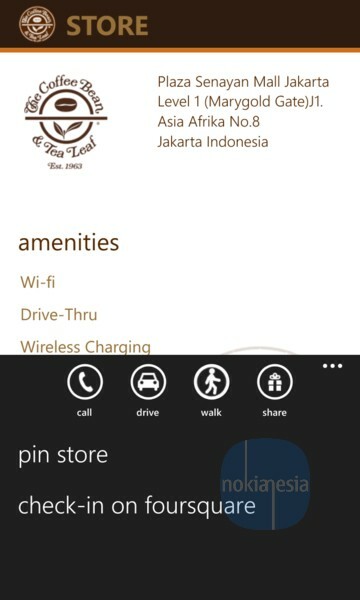 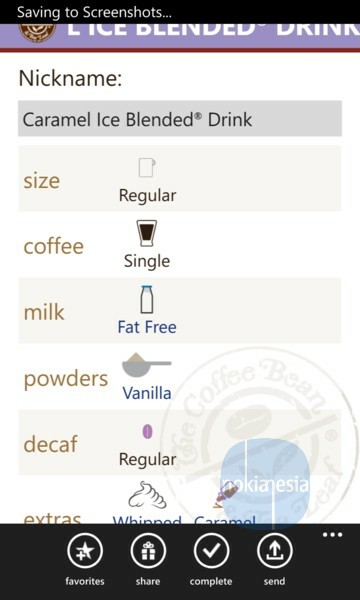 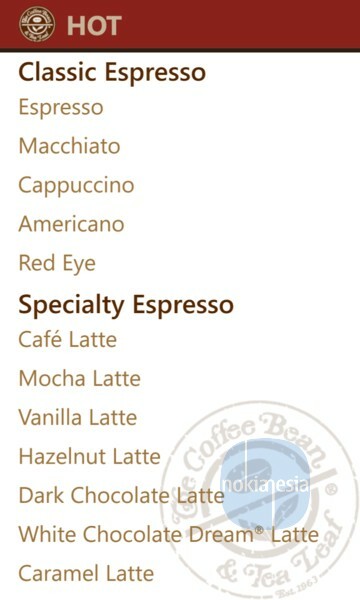 Official "The Coffee Bean" mobile application is now Available for Nokia Lumia with Windows Phone 7.5, 7.8 and also 8. 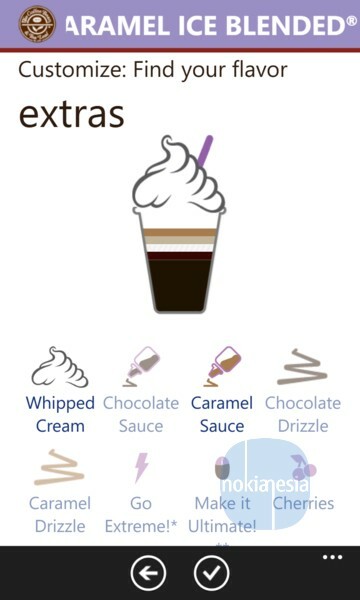 You can Choose your own drink, customize it with flavor, decaf and extras, add your drink to favorite or simply "tap+send" to your friends. 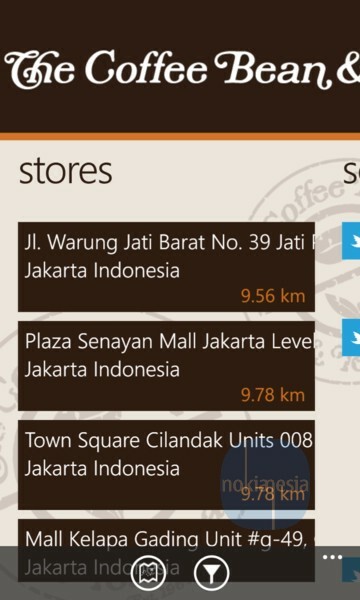 You can also search store near you or drive to store near you (integration with Here Drive+ Beta).
" 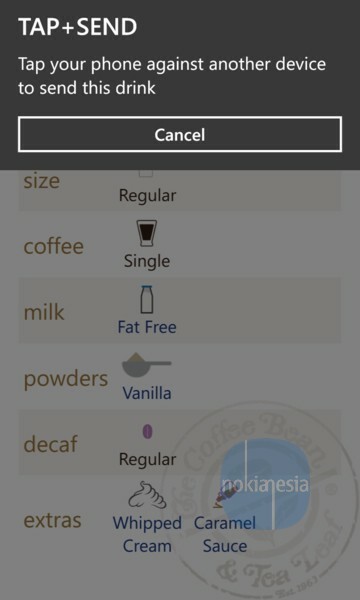 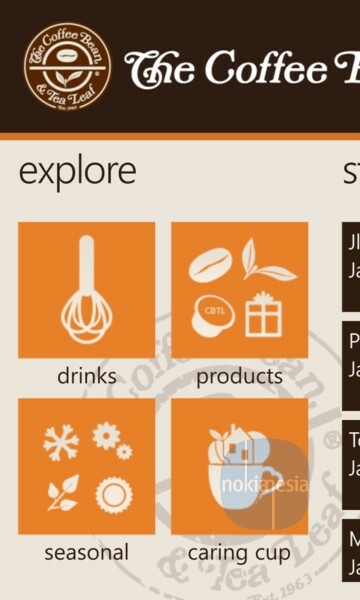 Your official Windows Phone application for The Coffee Bean & Tea Leaf® is finally here! 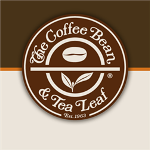 Now you can find your flavor by creating custom, one-of-a-kind beverages including all of The Coffee Bean® signature beverages like the Original Ice Blended® drinks, specialty espresso drinks and even our pure (caffeine free) beverage offerings! 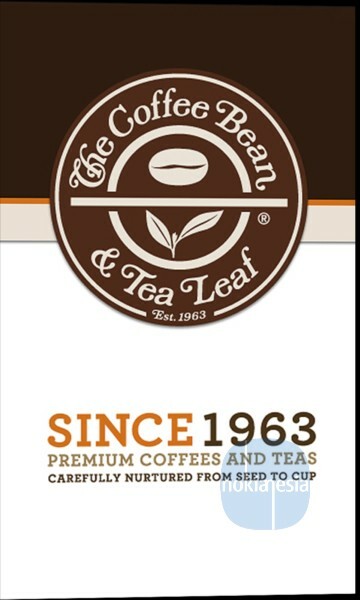 Our store locator makes it easy for you to find your nearest The Coffee Bean & Tea Leaf® location. "